I thought I would do something a little bit different for today’s post. This instagram photo (follow me @brittanyanncourtney) is my most liked photo of all time. This is big for me :-)!!! 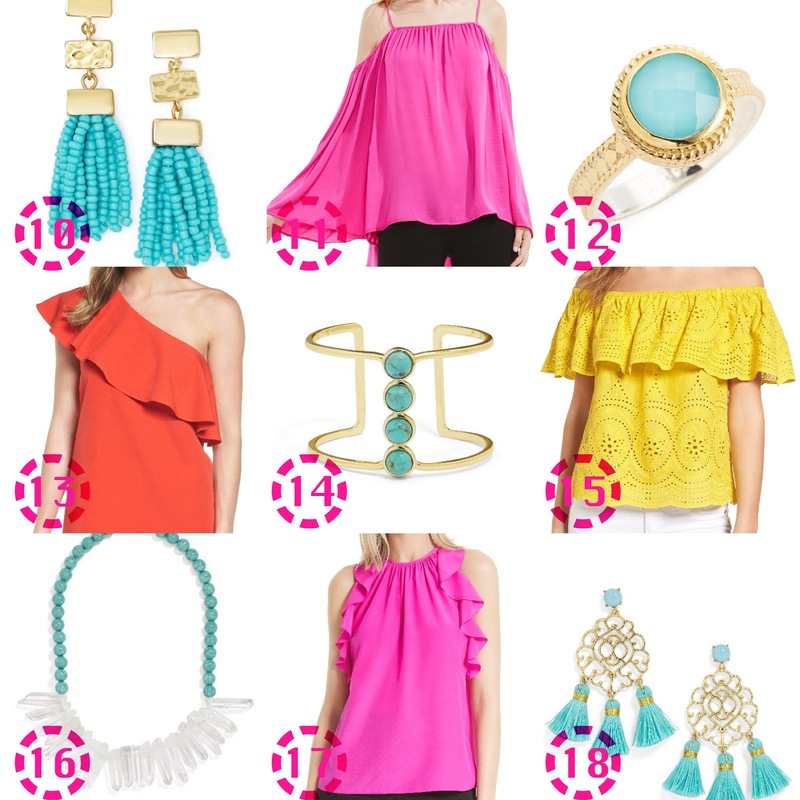 I had a lot of you comment that you love the color combo and that you love turqouise as well so I thought I would share two other bold colors, yellow & pink, that you can mix with your turquoise jewelry! Turquoise jewelry will always be a great investment. It is always the biggest color for jewelry in Spring and Summer and it always makes the outfit feel new and fun. I have never been shy to wear bright colors; there is just something about them that makes me feel so alive and happy! I will say that over the past year, I have been into wearing more and more neutrals, I believe this is because that’s super trendy right now, however, there are times when punches of color are the answer! You will notice that I kept the silhouettes and designs of the tops and dresses simple. They are all solid without a lot of details. My dress here is a dobby spot fabrication, however, from a far it reads as a solid color. I think this is really important when wearing something so bold. I keep my turquoise jewelry to only one or two pieces at a time. Follow Coco Chanel’s rule: “Before you leave the house, look in the mirror and take off one accessory”. That quote will keep you in line! Does anyone have big plans for the weekend? I would love to hear, drop me a comment in the below! I have a lot of errands and things to get done….I am traveling again next week…I am BEYOND excited for where we are headed!